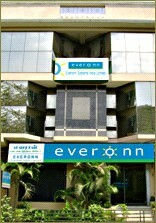 Everonn Systems India Limited is a Chennai based information technology education and training company. There are other listed companies in this sector (Aptech and NIIT Limited). While Aptech specializes education in IT platforms such as Solaris, Java and Oracle, NIIT and Everonn have their presence among enterprises, educational institutions like schools and colleges, corporates and working professionals. The company’s business is based on two main strategies viz. The company aims at setting up the necessary infrastructure for IT education / training, creating learning content that is relevant to the current needs of industry and identifying learning opportunities. The company targets to educate 5 million students by 2010. Prepare study materials in English and local language. The company enters into long term contracts with schools and colleges on a BOOT basis (Build, Own, Operate and Transfer). The assets shall belong to the company till the contract expires and later these shall be transferred to the respective institutions. Recently, the company has signed a Memorandum of Understanding with Gujarat Council of Primary education to train 5400 teachers. It will implement computer aided learning in about 1250 schools in the state. 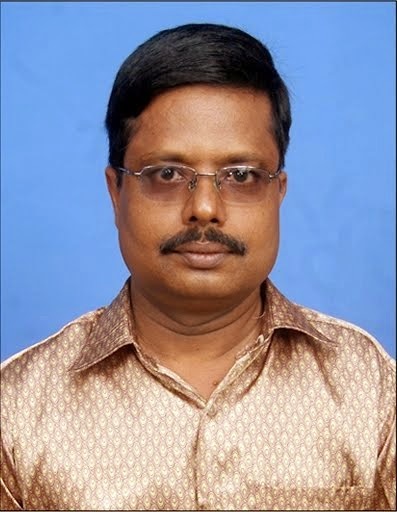 The company has successfully completed providing computer education solutions to all the higher secondary schools in Tamil Nadu as well as in Pondicherry. This essentially means live interactive learning process. VSAT (Very Small Aperture Terminal) technology is used for interaction between the faculty and the students. An instructor presents the lecture to students through the computer and LCD projector via the VSAT receiver. The instructor and the students can see and interact with each other as if they are in a regular class room. Therefore, a single instructor is able to teach hundreds of students all over the country at the same time, without compromising the quality of learning process. These may be considered as the virtual classrooms. The above technology is available at more than 200 locations. The focus is on institutions, corporates and retail segments of learning. The company offers certificate programmes in bioinformatics, software testing and networking for institutions. Retail segment targets franchisees. Corporate initiatives include training and placement. Both companies focus on IT education and learning. NIIT has presence in 2000 Government schools in the states of Andhra Pradesh, Tamil Nadu, West Bengal and Karnataka where as Everonn has managed to spread the operations to 10 states (including Tamil Nadu and Pondicherry). NIIT also executes turnkey projects in IT education and infrastructure viz. systems handling, facility management, training etc. In the stock market, NIIT Limited has performed well. It closed at 179.45 on 31.12.04. On 29.06.07 it closed at 1005. In other words, the stock has appreciated 5.6 times in about 2.5 years which is very good. We will have to see how Everonn performs in the market. NIIT Limited has a book value of 148.39, diluted EPS of 28.06 and P/E ratio of 25 as on 31.03.07. It reported a net profit of Rs.57.30 crores for the financial year 2006 – 07. Everonn, had a book value of 42.41 and diluted EPS of 5.63. P/E works out to 24.87 at the upper end of the price band Rs.140. There is not much difference in terms of P/E ratio. All figures in rupees lakhs. PBIDT = Profit before interest, depreciation and tax. Application form is available from this link. Red Herring Prospectus is available at this link. Though the company may be smaller compared to NIIT it is also in the same business and has presence in several states. NIIT has a worldwide network of centres and offices, from the United States to Fiji, apart from several locations in India whereas Everonn is primarily an Indian player. However, they may also diversify into other locations in future. In fact, Everonn has plans to set up offices in Dubai and Singapore. NIIT has done reasonably well in the stock market in the last two and a half years; we may expect the same from Everonn. So long term investors may invest in Everonn IPO with the expectation that it would perform well.